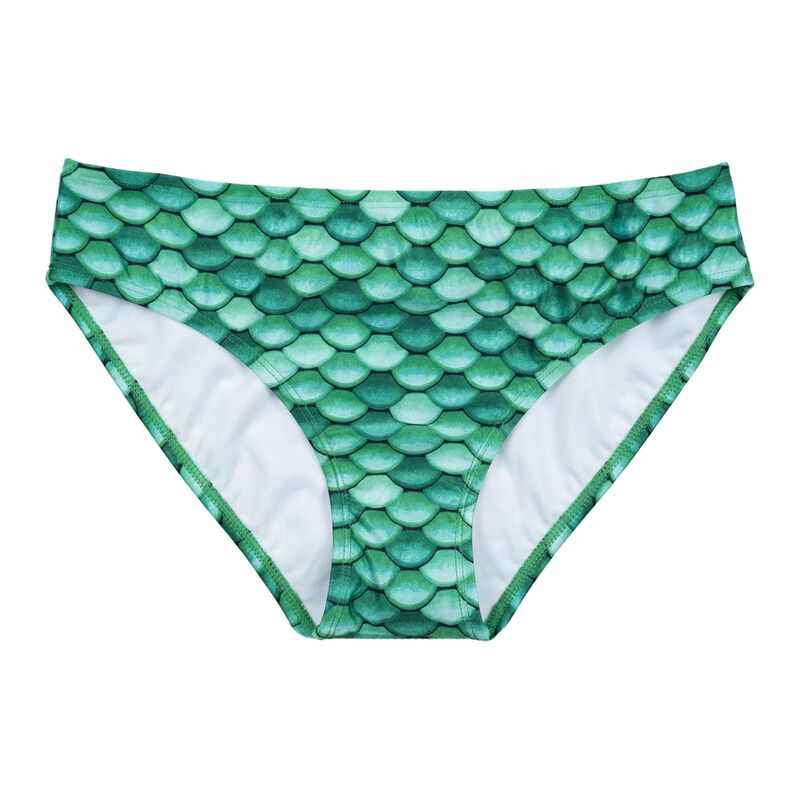 Swim in a mermaid bikini bottom featuring elegant scales of mint and emerald tones in this mid-rise swimsuit essential from Fin Fun! You’ve chosen your favorite style in our mermaid bikini tops, but you need a swimsuit bottom. 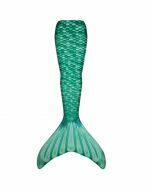 Go for a mermaid-scale bottom in cascading scales of mint and emerald—it’s completely swoon-worthy! Our revamped design of the classic Celtic Green pattern is a smoother, cooler version that looks simply spectacular when paired with tops and tails of the same design. 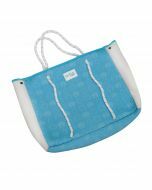 Fully lined and fade-resistant, this mermaid bikini bottom provides a stylish alternative to a solid-colored option! 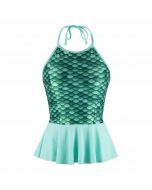 See our mermaid tankini and bandeau bikini tops in the same scale pattern for easy matching.